Noah Heikoop didn’t know what bit him. The seven-year-old didn’t even know he had been biten at all until the next morning, when his mother, Katie, was combing his hair at their Niagaraon- the-Lake, Ont., home, and saw two bleeding pinpricks in his scalp. It looked like a bite from a small animal. It was last winter, and the family had been coping with an infestation of large brown bats in their chimney. “We don’t dislike bats”, Katie emphasizes—Noah had even held a fundraiser to help save small brown bats—but they knew the bat colony had to go. No reputable animal control irm, though, would remove a colony in the dead of winter. She got in touch with the family’s pediatrician, who looked up bat bites online. 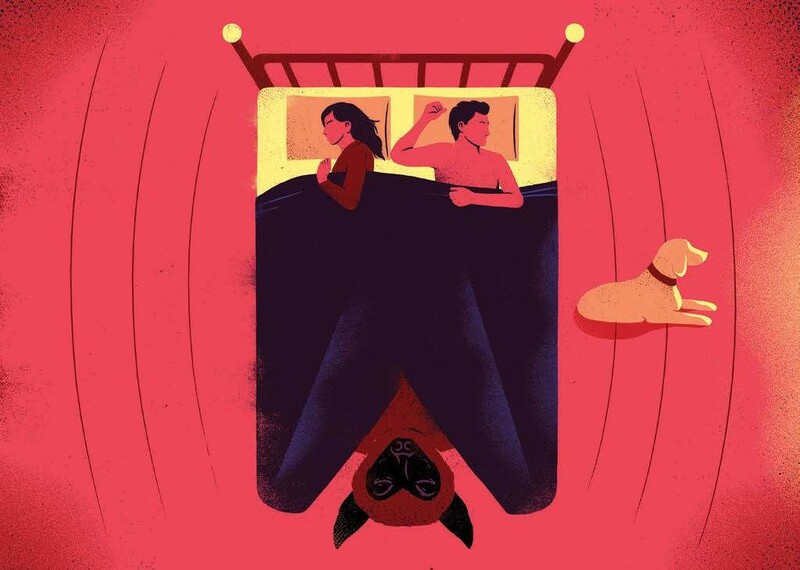 “We couldn’t guarantee that there hadn’t been a bat in his room”, she recalls. In short order, as an extreme precaution, Katie, Noah, and his sister were undergoing rabies post-exposure prophylaxis (PEP), a series of injections in diferent limbs and, for Noah, extra shots at the bite location. Make winter the warmest season! 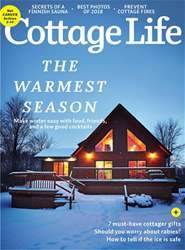 The Winter issue of Cottage Life gets you set for your coziest winter at the cabin yet. Host a holiday brunch for family and friends with Canada’s cinnamon bun queen Amy Rosen’s mouth-watering Hanukkah recipes Learn the 300-year-old secrets of a sweet little Finnish sauna Find out how to protect your cottage from fire 7 gifts for cottagers An update about rabies: should you worry? Tips for testing ice thickness and thawing frozen pipes How to stop mice and prep the cottage for winter Plans for a tea-light holder project (with a hidden compartment!) Plus, the stunning winners of our annual photo contest Pick up the Winter 2018 issue today! Remember when it wasn’t legal? Are you on thin ice? Double the latkes, double the fun! DOGS: they’re just like us!